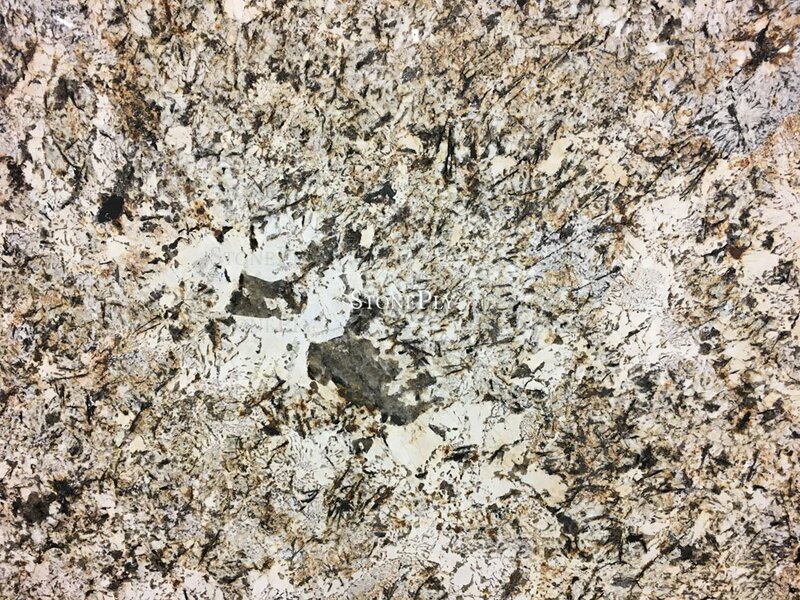 A creme granite with high movement swirls of grey, gold and black. Other than diamonds, rubies, and sapphires, granite is the hardest natural stone. Granite is the preferred stone for exterior cladding as it is known for its strength and resistance to the elements. Unlike marble, granite is a very low maintenance choice for your building exterior; it is extremely resistant to heat, scratching, and stains. Quarried all over the world, granite comes in a wide variety of colors. 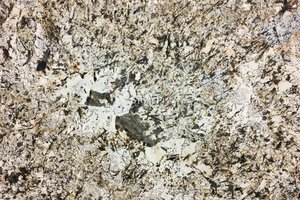 Typically you find granite finished with a high polish to show off the beautiful array of colors and natural grain. Granite's appearance is phenomenal for exterior applications or interior accents but can sometimes look too "busy" in confined spaces. To meet the need of current trends, granite can be honed, sandblasted, or have other textures applied to soften its natural tones and provide a very aesthetically pleasing panel. Granite is not only found in commercial cladding applications but is a favorite for counter tops and flooring as well. The stone is extremely durable and easily maintained and cleaned. Being harder than marble and limestone, granite surpasses other stones in its ability to resist staining and acidic materials. If your requirements call for a stone that has permanence, enduring texture and color, along with complete freedom from deterioration and maintenance, then granite is an ideal candidate for your project.